Prospects for construction in the ASEAN region is generally bright. According to the Global Construction 2030 Report, the ASEAN construction market is expected to exceed US$1 trillion by 2030, with growth predominantly driven by labor intensive light manufacturing industries moving to Asia’s emerging markets. The analysts also expect the construction sector of ASEAN members — Indonesia, Myanmar, and Vietnam — to show growth rates of 6% per annum or higher, up till 2030. Please tell us what BuildIT Construction is all about? The BuildIT Construction software leverages on FARO’s cutting-edge 3D metrology capability. FARO is to first to offer this fully integrated building lifecycle Quality Assurance (QA) and Quality Control (QC) management tool empowering construction professionals to continuously evaluate projects with real time comparisons against CAD designs using 3D scan data. 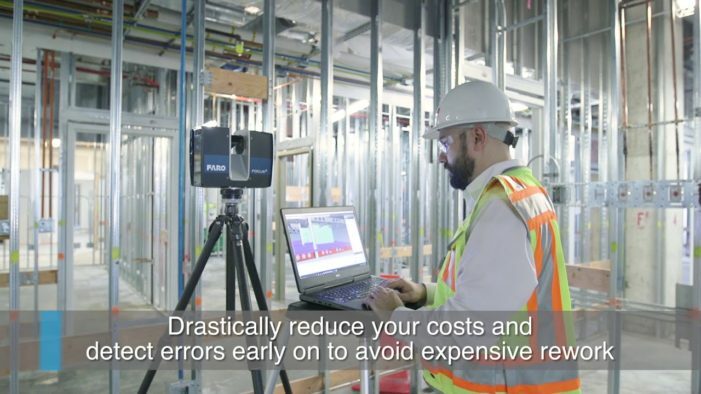 The software from FARO uniquely enables laser scanner users to perform immediate, real-time build and verify analysis throughout the entire project, and facilitates a new level of cost management and operational efficiency. BuildIT Construction can be fully integrated with 3D data collected from FARO Focus Laser Scanners, optimised for the FARO TracerM Laser Projector for placement and layout of structural components and is compatible with the FARO Laser Tracker for prefabricated modular positioning. It can also be used seamlessly with other third-party hardware. Where do you see this software being used most? Application areas that will benefit most from the BuildIT Construction software include Architecture, Civil Engineering/Surveying, Construction, Facility Management, Historical Preservation, and Mechanical, Electrical and Plumbing (MEP). Detecting incorrect placement or missing features such as walls, columns, beams, pipes, etc. Is there a lot of construction underway across ASEAN? What are the advantages for AEC professionals? The software provides several advantages for AEC professionals and these include the acceleration of project timelines, minimization of waste, and an increased confidence in the measurements obtained. 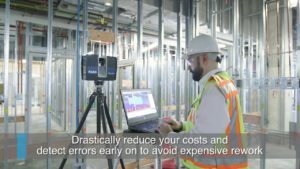 BuildIT Construction utilises complete digital 3D scans to quickly and easily perform construction QA/QC analysis and reduces prolonged hours of manual validation to minutes. AEC professionals can also use the software to perform routine quality checks throughout the build process, to detect errors at every stage of the project lifecycle and reduce expensive scrap and rework. They can also conduct analysis using an established platform derived from 20 years of proven expertise in delivering best in class measurement solutions to the manufacturing industry. Quality control appears to be a major factor with this software? Yes, the BuildIT Construction software is all about improving the quality control process. Historically, the tolerance level for scrap and rework in the construction industry has been very high because it is considered part of the normal business. With the introduction of BuildIT, AEC professionals can now be empowered to make informed decisions throughout the build process and reduce the need for scrap and rework, improving the overall quality of the project altogether.